Register now for the General Assembly. The General Assembly is the semi-annual business meeting of the Green Party of California. Delegates are chosen by counties. Other Greens are welcome to attend. Online pre-registration will save you money and time. We prefer that you fill out the form below. That will take you to a PayPal link that would will follow to pay by credit card or PayPal. If you want to pay by check instead of credit card or PayPal, complete your registration here. 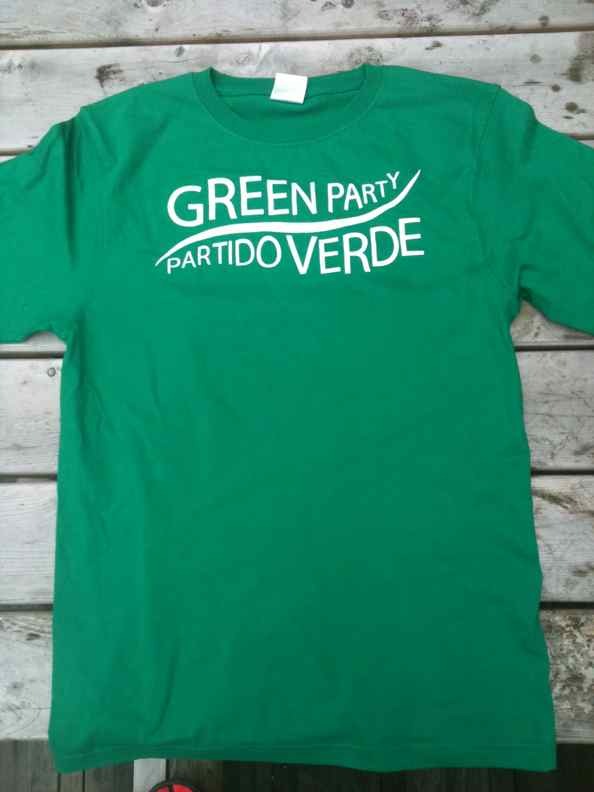 Make your check out to "Green Party of California" and give your check to Green Party volutneers at the registration table in Los Angeles. On-site check in starts at 8am. All meals are vegetarian and vegan. The draft agenda is here. Public transit info is here. Admission will be $55 if you pay at the door. Admission will be $45 if you pay at the door. Admission will be $35 if you pay at the door. Admission will be $25 if you pay at the door. You can pickup your tshirt at the General Assembly. HAVE A WONDERFUL ASSEMBLY - wish I could be there. Peace and love and all that good stuff to all. I'll be at tonight's thing at 6pm... see some of you there? Getting to L.A. today. See y'all there. Anyone from up north cruising through Ventura to carpool with?